The President Elect is Matt Frankish (Ontario), who was elected by acclamation September 2018. Additional nominations for each position may be made by written nomination accompanied by the signatures of at least 4 members, verified as those of members in good standing. Such additional nominations shall be accepted for a period of 30 days from the publication of the preliminary slate above. Deadline to receive additional nominations is April 18, 2019. Nominations may be sent to the National Office via the on-line nomination form available here. The announcement of the election results will be made during the Annual General Meeting Luncheon to be held on Wednesday August 14, 2019 in Whitehorse Yukon. Scott Martin is currently the Technical Director for the School of Performance at Ryerson University and has been a Director at Large for the CITT/ICTS national board for the past year. Before starting at Ryerson in 2005, Scott was previously the Technical Director for Showplace Performance Centre in Peterborough, the PM/TD of the Sudbury Theatre Centre and PM/TD of the Georgian Theatre Festival in Meaford, ON. During his summers away from Ryerson, he freelances as a lighting, rigging and sound technician as well as the Production Manager of the Peterborough MusicFest. 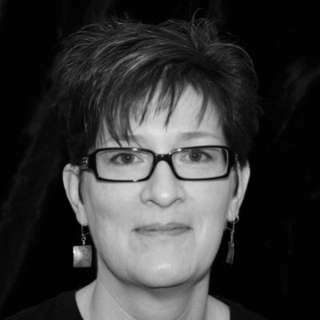 Emma Alderman began her career in the performing arts at the Bella Rose Arts Centre in Halifax NS where she stage managed, technical directed, and production managed. Since moving to Toronto she has completed her BFA in Performance Production at the Ryerson Theatre School and traveled to participate in a Technical Direction/Swing Tech Practicum at the Banff Centre for Arts and Creativity. She is currently a freelance production manager/technical director working for a variety of events and productions. I became involved in different school associations over the course of my university studies, and I am currently a member of the social committee at my workplace. I always valued community involvement.I’ve been working as an event coordinator for SFM for 12 years now and I previously worked for a trade show booth manufacturer, coordinating events for various clients. 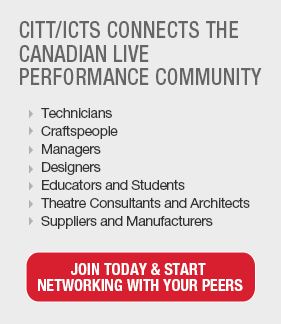 Esther Van Eek, a proud member of CITT/ICTS, USITT and the Associated Designers of Canada, designs costumes, props, and occasionally sets, in Canada and the USA. She holds a BFA in Visual Art and an MFA in Production Design. An award-winning designer and educator, Esther teaches Costume Design, Drawing for the Theatre and Stage Make-up at the University of Windsor, and mentors up-and-coming designers. She recently collaborated with six fellow costume designers to write the text The Art and Practice of Costume Design, Routledge, 2016. Recent design credits include: The Taming, Accomplice, Heroes (Shakespeare & Company, Lenox, MA), Mr. Burns: A Post-Electric Play, Queen Milli of Galt, The Clean House, Twelfth Night and Tartuffe (University Players).